Interest is growing in the development of environmentally sustainable concrete. Complementing the Government of Malaysia's efforts to encourage the use of environmentally friendly materials in the construction of green buildings, researchers from the faculty of civil engineering, Universiti Teknologi MARA in Malaysia have successfully developed an environment friendly version of building concrete called green-mix concrete. In 2009, the Malaysian government launched the green building index (GBI) to encourage the construction of buildings using green technology, and introduced incentives for owners to obtain the GBI certificate for new or existing buildings. There have also been efforts to reduce air pollution and concrete has an important role to play because a significant amount of the world's carbon emissions stem from cement and concrete production. Therefore, it is important to develop green concrete that can be used in buildings and structures. In recent years, the application of green concrete has become popular in many countries including Malaysia. 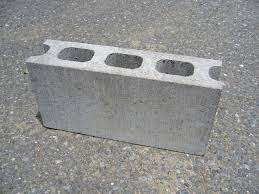 The innovative concrete can be produced using waste materials as one of its components. Green concrete can also be developed using various production processes that are not detrimental to the environment. The criteria for green concrete is that the materials used for making it should be sourced from sustainable or "green materials" rather than non-sustainable resources. The use of recycled or waste materials can be considered sustainable as they can lower costs and raw materials as well as reduce landfills. In this project, researchers at Universiti Teknologi MARA introduced an innovative green concrete called "green-mix concrete" that is designed and manufactured using conventional materials but partially replaced with suitable waste and recycled materials to achieve acceptable performance, economics and sustainability. Green concrete is made of new raw materials - namely fly ash, recycled concrete aggregates and aluminium can fibres. Fly ash is a waste product from coal power plants and is commonly disposed of in ponds and sent to landfills. Through research it was discovered that fly ash has the potential to replace cement, a material with large environmental impacts due to air pollution from the cement plants. In order to reduce consumption of raw materials and to minimise the wastes generated from demolished concrete structures, crushed concrete can be reused as aggregates. Aluminium cans were used because they can be easily processed into chopped fibres and used as reinforcement in concrete. To produce this new concrete requires technical expertise such as new concrete mix design, new raw materials and new knowledge of green concrete properties. Not only is this newly developed green concrete environmentally friendly, it is also cost-effective as a result of optimized material proportions from our new concrete mix design. In our investigation, the new concrete can achieve an increase in strength of up to 30% compared to normal concrete. has potential for commercialization by providing developers and contractors with an alternative concrete that is environmental-friendly, in line with the National Green Technology Policy.